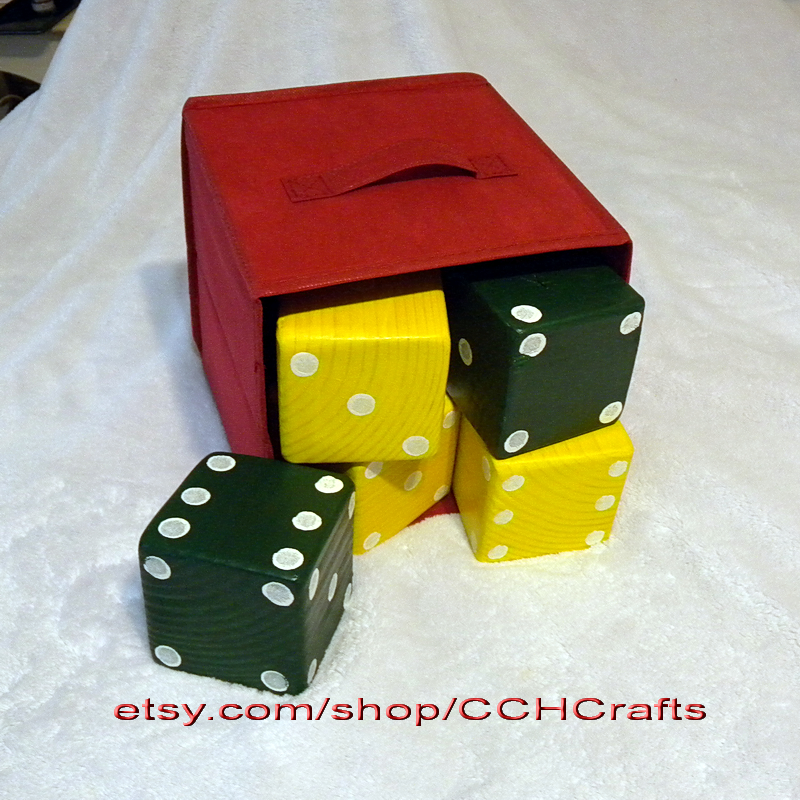 The CCH Crafts Yard Dice are just one example of the many handmade and custom crafts we do. Each set of our hand-made large yard dice game comes with a set of 5 dice and 3 scoring sheets. 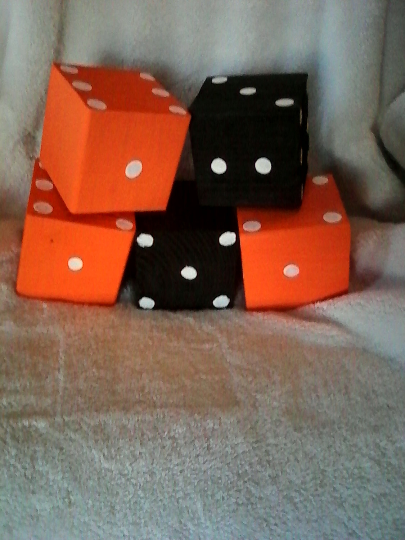 The dice are approximately 3 1/2 inches square. They are hand-made, not by machine, so may contain some minor imperfections to make them unique. We make them in various colors and usually picture the ones that are currently available, or for a small additional fee, we can customize with other colors. Keep in mind that computer, phone, or tablet colors may render slightly different than actual colors. 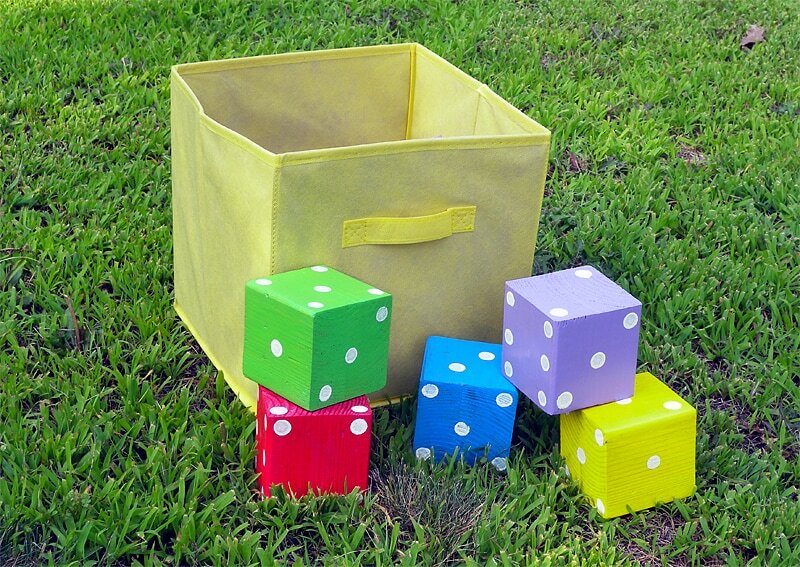 The dice set comes with a one handle basket for tossing and storing and 3 scoring sheets printed on 8 1/2 x 11 inch paper. We use Douglas Fir, cut and sand it, then paint and seal it, all by hand. 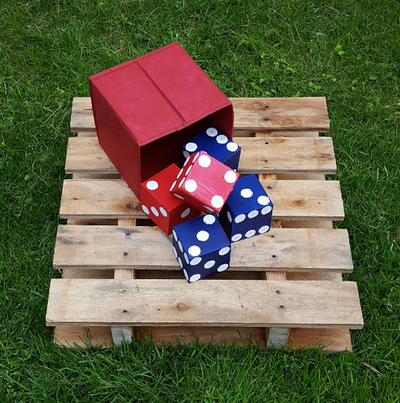 an outdoor BBQ, party, family gathering, friendly contest with friends or neighbors, picnic, camping, beach, or something fun to do in the spring, summer, or fall. 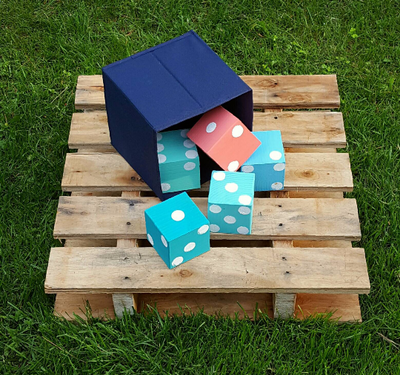 They would make a nice gift for a housewarming, holiday, birthday, graduation, Father's Day, Independence Day (4th of July), Labor Day, wedding, or just a summer visit. 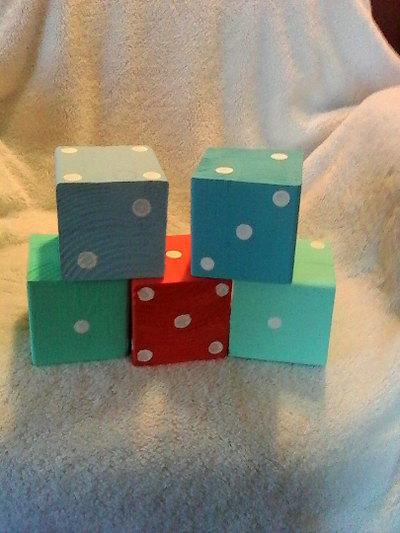 See our other listings for sets with other color choices at https://www.etsy.com/shop/CCHCrafts. 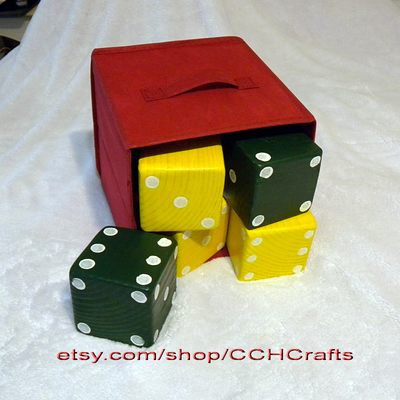 Thank you for taking the time to check us out here at CCH Crafts. As with all our items, we are here because we care - a portion of every sale goes to helping people in need. Yard Dice sets with bag and score sheets retail for $30 each plus tax and shipping. Contact us for wholesale prices - cchcrafts (at) tyteamholdings.com or 978-206-1074.